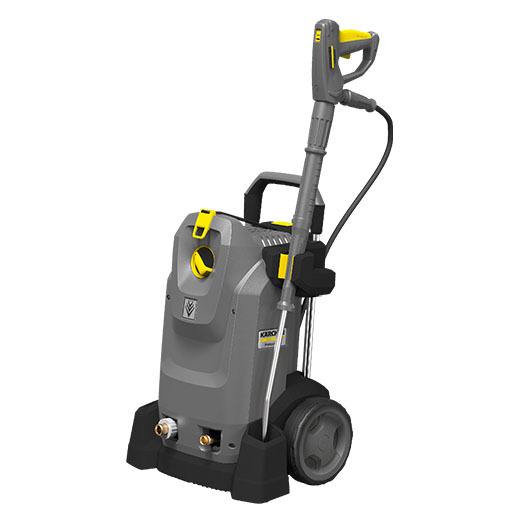 Mobile high-pressure cleaner HD 7/14-4 M with AC motor and 3-piston axial pump. 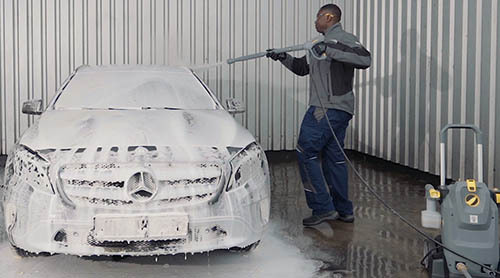 Compact, reliable device with high cleaning performance and energy efficiency for daily use. With 700 L/h flow rate. Can be used horizontally or upright. Integrated hook for foam nozzle storage. 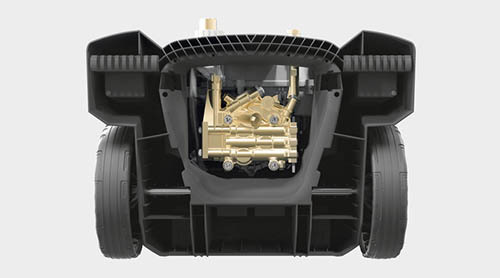 Easy access to components for faster servicing. 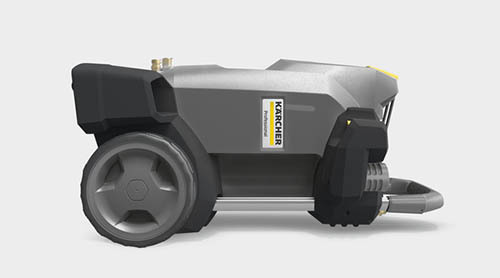 Kärcher's mobile and unheated high-pressure cleaner HD 7/14-4 M possesses numerous innovative equipment features as standard for safe and comfortable work. The automatic pressure relief, for example, protects high-pressure components against damage in stand-by mode, while the innovative EASY!Force high-pressure gun makes use of the recoil force of the high-pressure jet in order to reduce the holding force to zero, and the EASY!Lock quick-release fasteners enable up to 5-times faster handling compared to conventional screw connections without any negative impacts on the robustness and durability. The device is suitable for upright and stationary operation, thus offering lots of flexibility in use. The robust 3-piston axial pump with brass cylinder head increases the cleaning power and energy efficiency by around 20 percent. Numerous options for storing accessories, also during transportation, as well as a very easy-to-service device layout.